This ring may have a simple design, but it packs a lot of power thanks to its warm color and diamond accents. 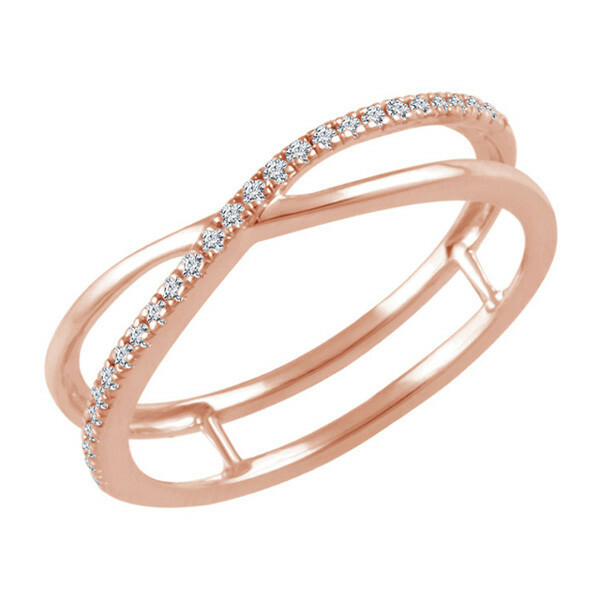 Crafted in complexion-complementing 14kt rose gold, it features a criss-cross of precious metal bands, one diamond-dotted. This makes for quite and interesting intersection! It's a marvelous meeting that makes us think of this ring as an up-and-coming modern classic.